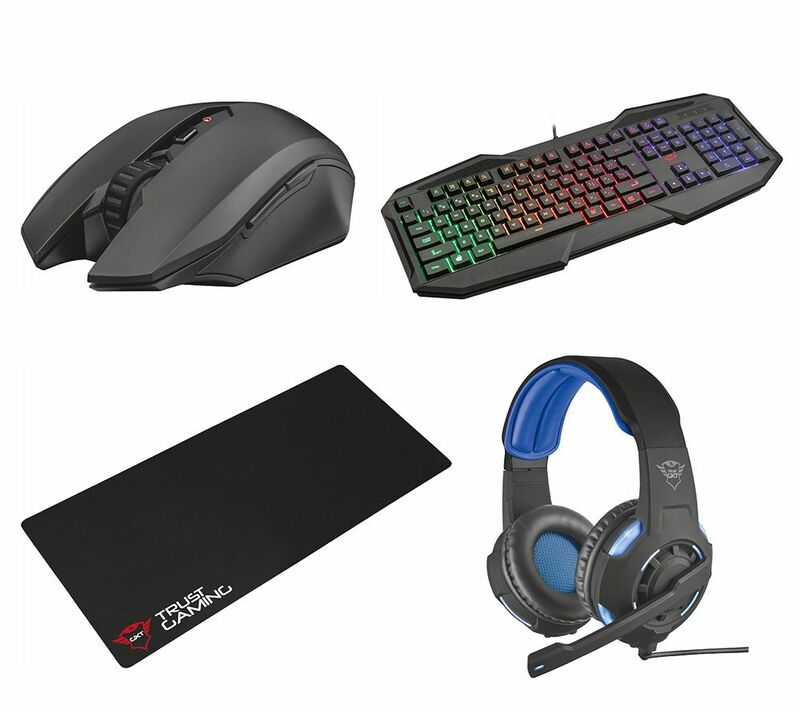 Take your PC gaming set up to the next level with this excellent Trust Macci Wireless Optical Gaming Mouse, 830-RW Avonn Gaming Keyboard, Radius 7.1 Gaming Headset & Gaming Surface Bundle. Enjoy your gaming without being tied to a desk with the Trust GXT 115 Macci Wireless Optical Gaming Mouse. Take control of the game with six buttons giving you versatility when you need it. The GXT 115's 2400 DPI optical sensor is really responsive too, so you won't mess up any commands. 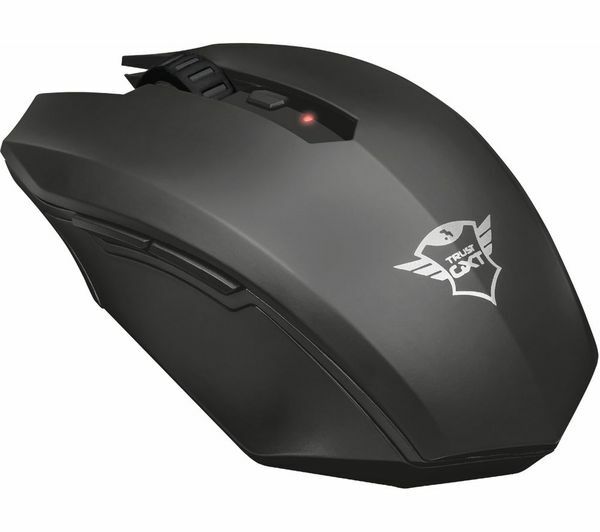 Right handed or left handed, this mouse has got you covered. It's built with an ambidextrous design, so no matter what hand you play with you can use the GXT 115 Macci with confidence. Your keyboard won't be the peripheral that lets down your build with the Trust GXT 830-RW Avonn Gaming Keyboard. 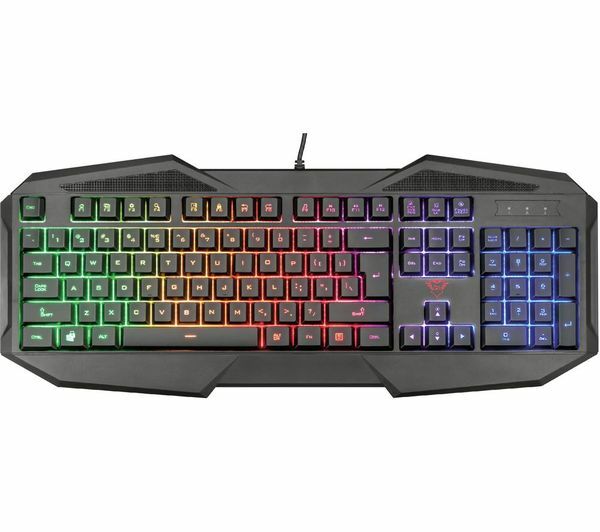 Featuring rainbow wave illuminated keys with adjustable brightness, you can match your mouse, headset and other peripherals to the keyboard to create a colourful, streamlined look. In the heat of battle you don't want your keyboard to stop registering your go-to spells. The GXT 830-RW has anti-ghosting for up to 6 keys at a time – you can type as fast as you like or launch a furious offence in League of Legends without feeling like your commands are being missed. 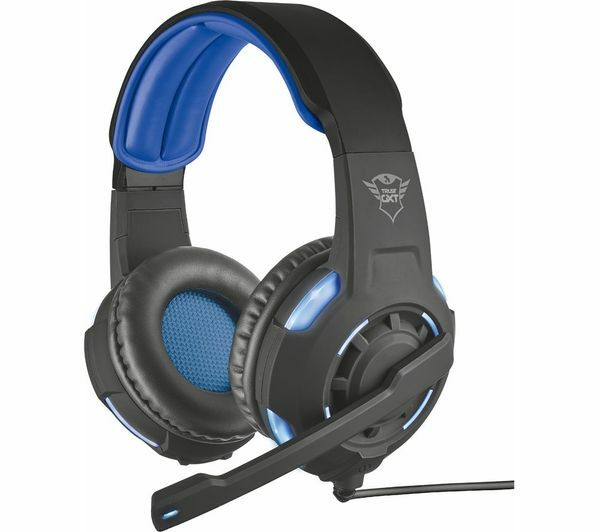 Get lost deeper in your games than ever before with the Trust GXT 350 Radius 7.1 Gaming Headset. With 7.1 virtual surround sound, you'll be able to hear more of what's going on around you so you'll always be one step ahead. Keep track of your approaching opponents and know their positions so you can strike with better precision, or detect an air raid coming so you can find cover - you'll get that competitive edge which can made the difference between a win or a loss. With soft, comfortable over-ear pads, you'll be able to take on even the longest all night session without having to pause to give your ears a rest. 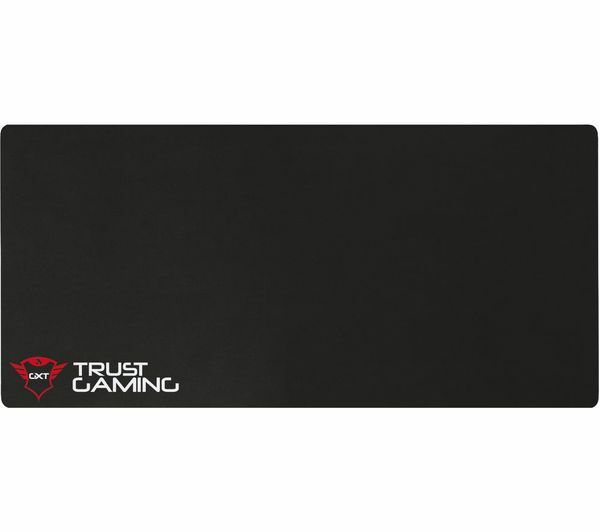 Game until your hearts content with the Trust GXT 758 Gaming Surface. Its XXL surface size means you can utilise the whole of your desk space as a battlefield, never missing out on that key shot because your mouse slipped off the mat. Featuring anti-slip rubber, you can be confident your Trust GTX 758 Surface will stay on your desk no matter how intense your game may get. Keys are already half-pressed so they are not as noisy as other mechanical keyboards. Always sold out! Can't buy a 2nd one if I wanted to.